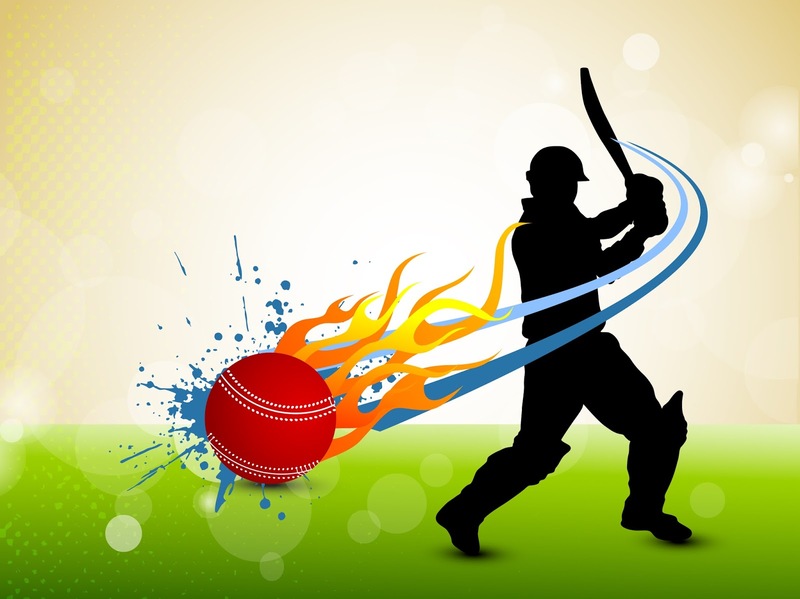 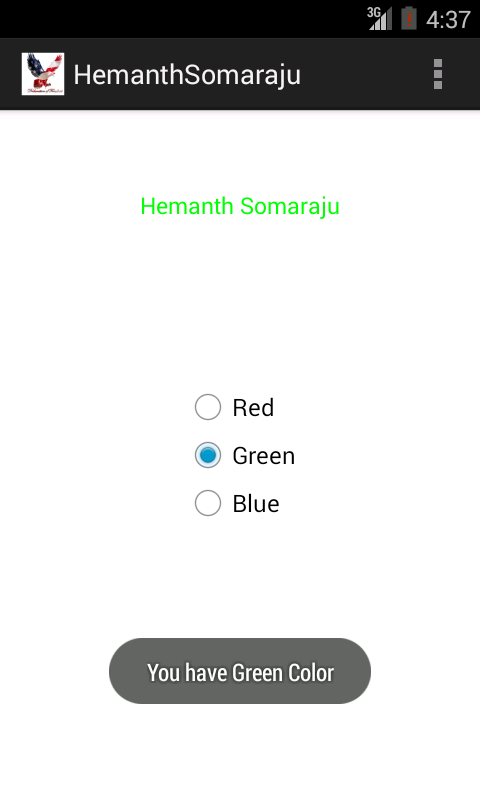 Get selected RadioButton Id in RadioGroup. 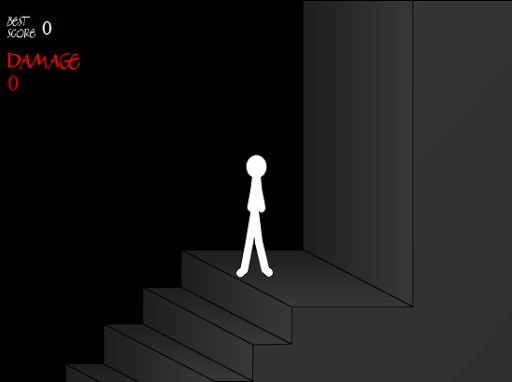 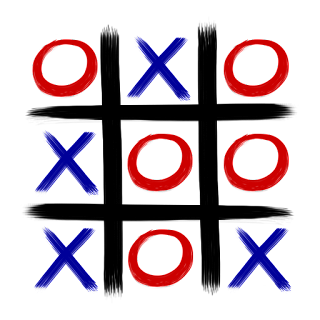 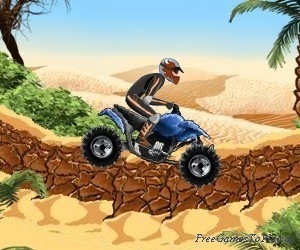 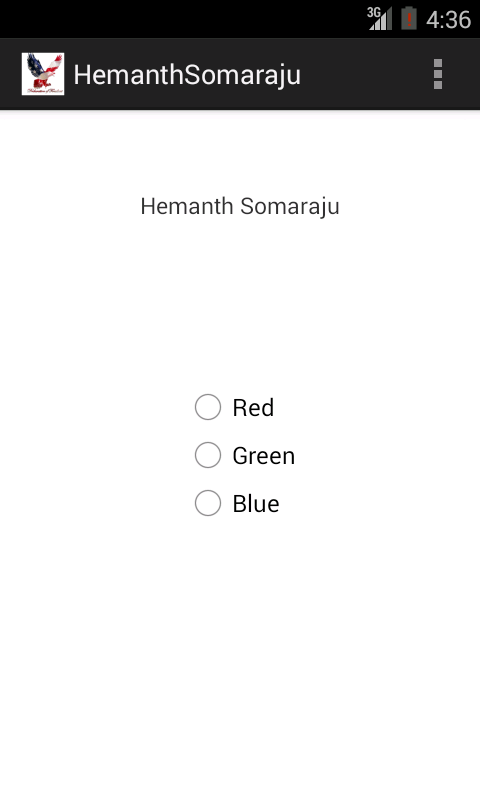 Set TextView TextColor using RadioGroup Buttons. 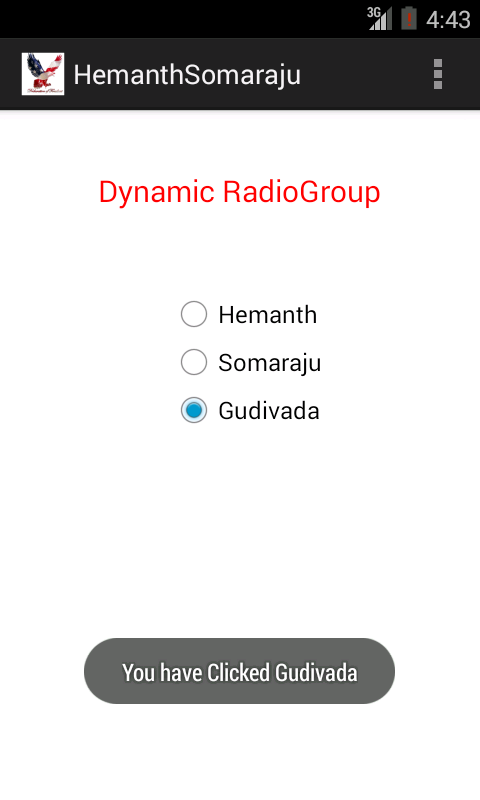 Dynamic RadioGroup Creation in Android. 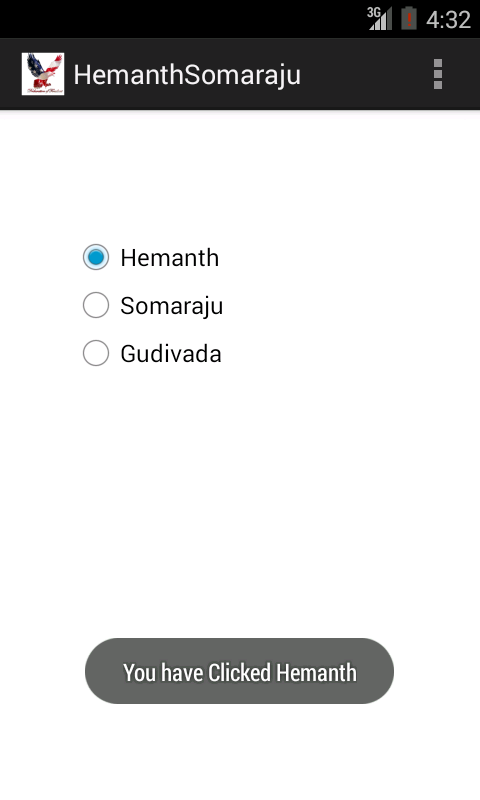 1.Get selected RadioButton Id in RadioGroup. 2.Set TextView TextColor using RadioGroup Buttons. 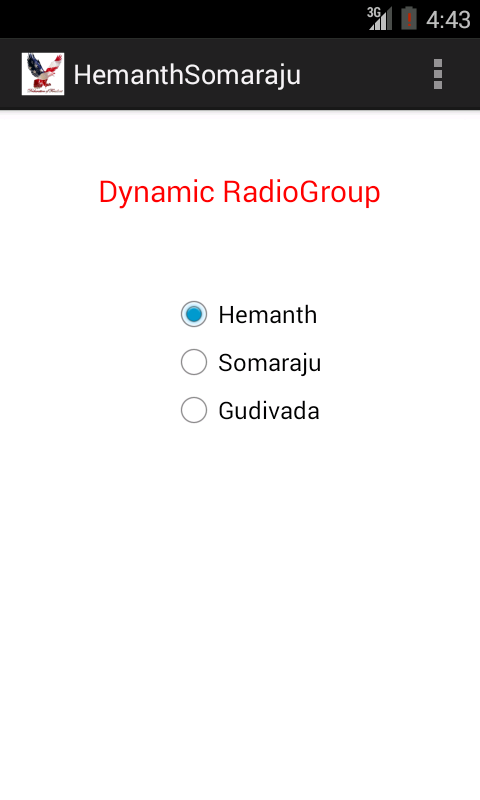 3.Dynamic RadioGroup Creation in Android.